Any guitarist who has walked the aisles of the nearest Barnes & Noble or roamed the guitar related entries at Amazon.com has seen the name Tony Bacon. 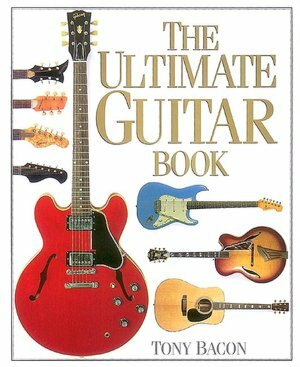 For the past couple of decades Tony has been linked to well-researched tomes on Gibsons, Fenders, Gretschâ€™s and thousands of pages about cool, historic, unique and downright weird guitars. Digging in deep to offer readers accurate and interesting information on the worldâ€™s most famous and obscure guitars is not an easy road. One must pore over old magazines, interview guitar industry experts, get some quality time with top celebrity guitarists, then check and double-check every fact, and then present the material thatâ€™s grammatically correct, aesthetically pleasing, and presentable in a form to successfully meet the market. Itâ€™s damn hard work, but at the end of the day must be very satisfying, and Tony Bacon by all accounts should be delighted.